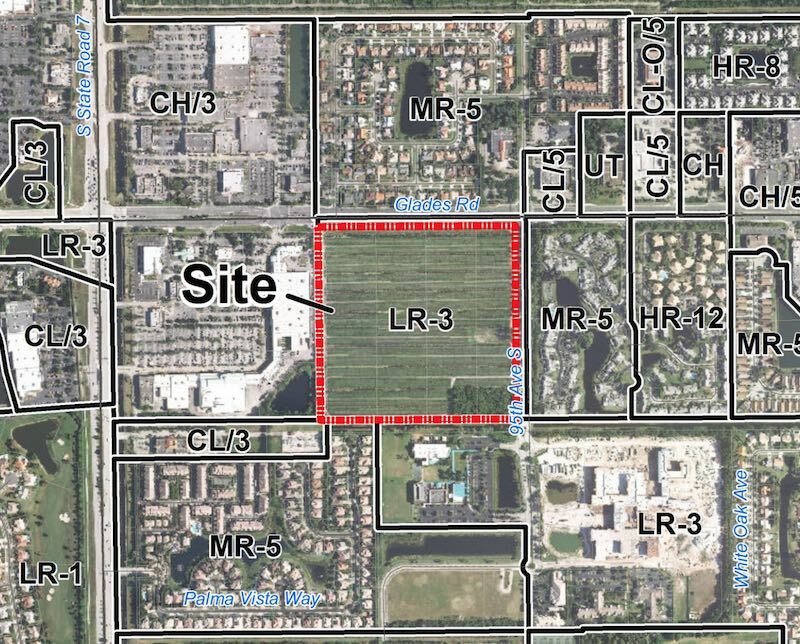 Residents of Palma Vista are concerned about a project proposed for the south side of Glades Road between Home Depot and 95th Avenue. This would be across from the Glades Road library. Johns Glades West parcel in red near Home Depot and Library. Satellite image and data by Google. 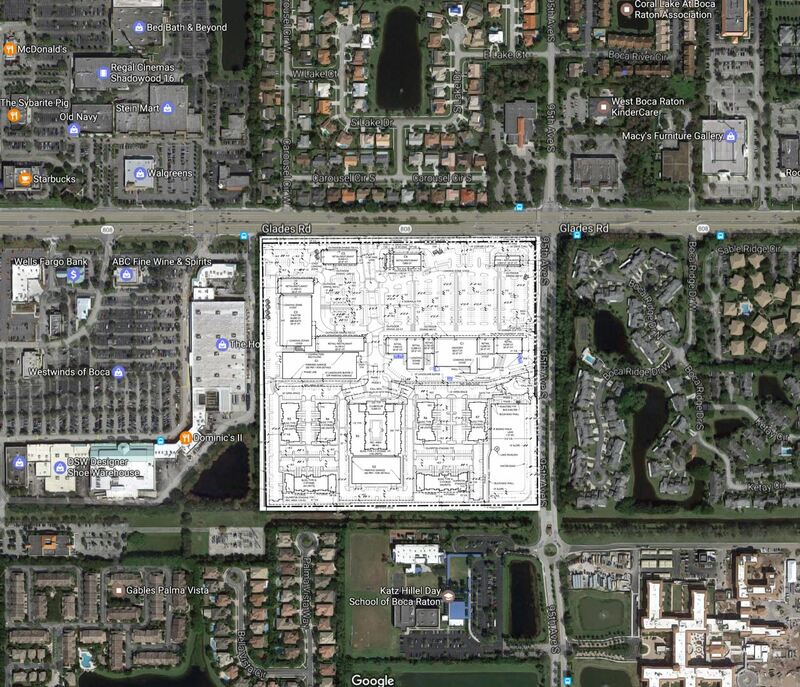 This would seem to be a very intensive use of the property with major traffic impacts on Glades Road. Our best guess is that the developer is floating a plan it knows will never get approved and they’ll come in later with a real plan for something much less. Below is a close-up of the stores section of the plan. PF Changs on Glades near FAU had the worst inspection of the week with 23 violations including 9 marked high priority. The biggest issues were hand washing and there was a stop sale on white sauce due to temperature abuse and failure to discard. Stop Sale issued on potentially hazardous (time/temperature control for safety) food due to temperature abuse and for failure to discard foods within 4 hours when using time as a public health control. This week’s restaurant inspection report is a bit thin as the data only shows 14 inspections in our area. The Chipotle on Glades at Butts Road had a good inspection with only one minor violation. Our weekly spreadsheet is below. We heard from a couple of friends that WPTV did a report on local Chipotle Mexican Grill restaurants. A neighbor told us the report specifically mentioned the Chipotle in Westwinds of Boca at 441 and Glades Road. We were surprised because we don’t remember seeing any bad inspections in our reports. But the “url” for the site now causes a “404 error” – the article appears to have been removed. In working on our latest restaurant inspection report, we noticed that the Chipotle near Town Center (north side of Glades Road at Butts) had an excellent inspection with only one minor violation. 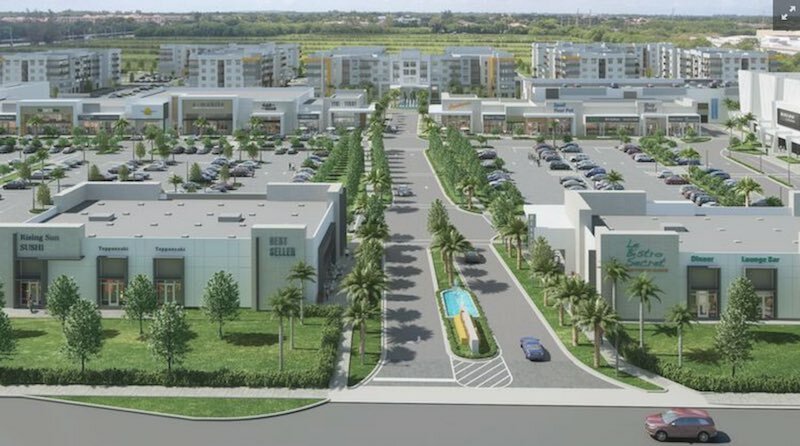 There are three that serve West Boca – the one on Glades near Town Center; the one in Westwinds at Glades and 441, and one on the south side of Palmetto Park Road near Powerline. All three of them have had consistently good inspection reports going back as far as the state website goes for them. Unfortunately we can’t see the original WPTV story because it has been taken down. We can’t evaluate the story thoroughly. But it appears from what we’ve been told by friends that WPTV misled the viewing public about Chipotle, at least in regard to any reference they made to the ones in West Boca. If inspections matter to you, Chipotle is a good place to eat. Please note that we do not eat at Chipotle. We know others like it but their food is not to our taste. We prefer Lime Fresh in Shadowood and before that opened we went to Tijuana Flats in Mission Bay.